Neo Protect II shoe covers are easy to get into and remove, keeping out wind and cold while preventing hot, sweaty feet during the longest treks. 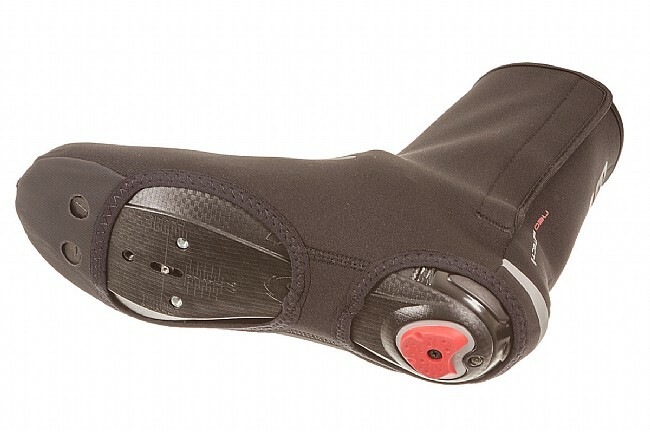 Vertical velcro ankle strips keep the covers snug against the calves and the bottom cut-outs allow any size or shape of cleat to engage with pedals. These covers are dependable for multiple winter seasons of very active riding. It's not easy to put in. These shoe covers fit my size 41 shoe quite snugly and keep my feet so much warmer. They don't allow sweat to escape, so there's a lot of moisture inside after a ride. If you're wearing wool socks that wick and retain heat even when wet, this isn't a problem above about 25 degrees Fahrenheit. I haven't been able to tolerate a windchill much colder than that. 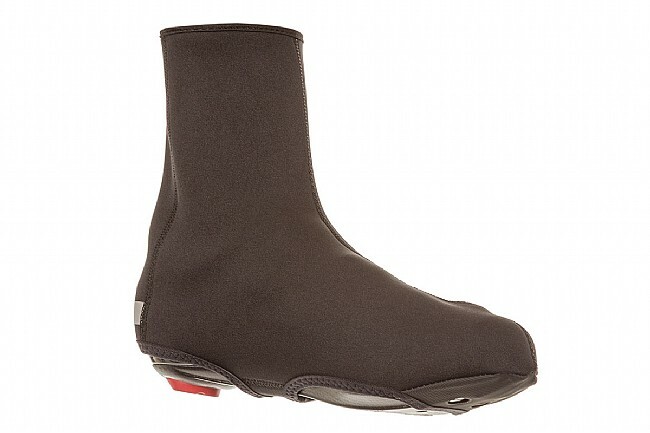 I've been wearing these with my Giro Empire MTB shoes and it's an awesome combination. Warm and weather proof. The LG shoe cover goes on very easily and is very secure. Well made and a great piece of kit. Highly recommend. 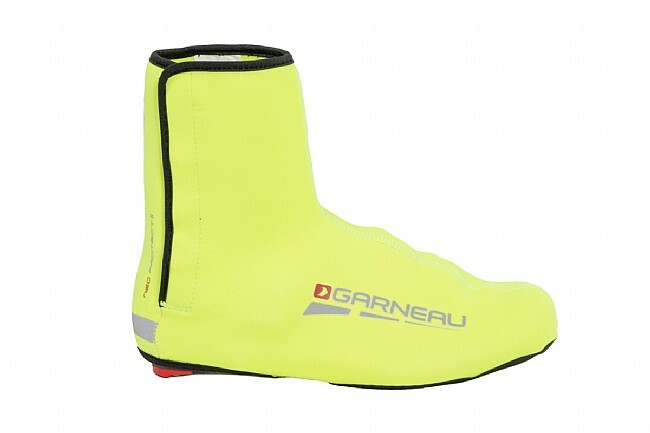 I use them for mountain biking, and I have found that no matter how expensive a bootie is, it will eventually fall apart. Which is why I like these, they are relatively cheap, work about as well, and it isn't a big deal when they fall apart. Only downside is the velcro closure doesn't allow for much adjustment, so if you have big feet and skinny ankles it will not fit tight. Neo Protect II is definitely a warmer cover than most, but still limited to about 20 degree F and above. Great fit and very easy on and off. Primary use is mountain biking. I MTB all winter, and chew through a pair of these each year. They do the job keeping warm feet! Sizing runs a bit small I'm an 8 men's and needed an M. The velcro quality is adequate, but the trim and stitching isn't as tough as the neoprene, so that is where they blow out first...across the sole. At-home reinforcement buys me a few more months of service. Can't beat the price, just don't expect years of service. These have a Velcro closure rather then a zipper and are much easier to put on. I use them in temps from the high twenties to the mid forties.